Nationwide Permitting Services (NPS) is a full service permit expediting company that also offers a wide variety of other construction consulting services. Our services are offered throughout the United States specializing in the commercial construction market. We work with Owners, Developers, Architects, General Contractors, and Sign Contractors to get projects permitted in a timely and organized fashion. Our experience ranges from very large retail rollouts to assisting in the daily permitting operations of any size construction related firm. We aim for complete customer satisfaction and we can customize our services to fit the needs of any client. NPS can help you with any combination of projects from 1 to 10,000 or more and we would like to offer you a one-stop resource for all your permitting needs. We offer a single point of contact and accountability which eliminates confusion often associated with the permit process while also providing savings and efficiencies along the way. Our work can include consulting with architects and sign companies on the code that their specific project will face in a certain municipality which can often have unique local requirements. In the end this knowledge results in saving trips to the permit office and ultimately shortening the timeline of the entire project. NPS has experience with all different types of Building Permits from a full remodel of a brand new retail store to a full remodel of an existing office space and most everything in between. Whether the client is a GC, Architect, Owner, or any other project participant we can assist in obtaining a building permit for your project. We work with Sign Companies and Owners to the sign permits for a wide scale of projects scopes. From a full rollout to assisting with the daily permits needs of a large sign company we handle signage of any size and scope. 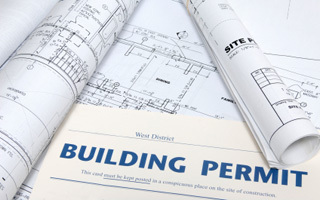 Our experience with Sign Permits has helped grow our company significantly through our attention to detail and awareness of possible permit pitfalls at the beginning of a project. If you do not see your city or county listed below please give us a call and we will gladly assist you with your project.